Richardson, TX — August 29, 2017 — Projectmates is excited to partner with Love's Travel Stops & Country Stores receiving the Constructech Gold Vision Award under Retail/Chain category. Projectmates and Love's Travel Stops & Country Stores are recognized for their outstanding ability to address issues with productivity, data sharing, efficiency, and more. The work these companies and their providers have accomplished demonstrates what can be achieved with the use of technology," says Peggy Smedley, editorial director of Constructech magazine and president of Specialty Publishing Media. "The success of these projects sets the stage for the future of the construction industry." Love's utilized Projectmates award winning software for an aggressive store expansion plan that would nearly quadruple the number of new stores built annually. In addition to the travel stops, Love's is also constructing name brand hotels like Holiday Inn Express, Hilton, and Marriott as well as self-storage buildings to many locations. Before Projectmates, data was dispersed in all different kinds of software that were not in any way integrated or accessible to field staff, contractors, engineers, and vendors. After a rapid two-month implementation, Love's was live utilizing Projectmates software for budget controls, reporting, scheduling, task tracking, construction workflow, communication, document management, electronic approvals, and much more. Partnering contractors, engineers, and vendors had also been integral to Love's success; these firms have also adopted Projectmates as the single point of truth for project information and collaboration. From a field perspective, Projectmates has been a huge time saver. It is a one stop shop that everyone can use to look at and store project documents. Most everything that is needed to do our daily job is conveniently located in one program. Like everything, it takes a little time to figure out how it works and what best suits our company needs but once figured out it is a tremendously helpful tool that we were missing as a company. The Projectmates mobile app is the biggest asset I have when on the road traveling between projects. Projectmates is also very proactive in updating the software and ease of program use as well as very open and giving to our client needs," — Kai Schwarz, Senior Field Construction Manager. Love's innovation and confidence with Projectmates cannot be overstated. Field staff and contractors rely on Projectmates native mobile app to generate field reports, RFI, progress pictures, and punch lists. This saves countless hours as the information is entered via Smartphone on the spot instead of later in a construction trailer, hotel, or airport. Before Projectmates we had information and data scattered over various personal computers and servers. We relied on paper copies of plans that are ever changing and weren't available to us in the field. Projectmates consolidated all this into one location with an easy-to-use mobile app when in the field. I have found them to be open to changes we have requested and always eager to improve their product," — Jim Schad, Senior Field Construction Manager. Projectmates is committed to excellence and technological innovation for the construction industry; always pushing the envelope with new cloud based technology and native mobile apps that allow for easy mobile project updates and increased transparency. Founded in 1964 and headquartered in Oklahoma City, Love's Travel Stops & Country Stores has more than 430 locations in 41 states, providing professional truck drivers and motorists with 24-hour access to clean and safe places to purchase gasoline, diesel fuel, Compressed Natural Gas (CNG), travel items, electronics, snacks and more, as well as a wide variety of restaurant offerings. Constructech is a leading voice and advocate in the use of technology solutions within the construction industry. The company unites construction experts and leaders around the nation by keeping them updated on the latest advances in construction technology through magazines, recognition awards, and gathering events. Today, Systemates has an expansive client base — from traditional construction companies to Real Estate Trusts, from Healthcare facilities to modern Educational Institutes and from Public Sector groups to leading Retail companies. Projectmates' collaborative platform dramatically improves project execution, cuts costs and delays, increases accountability and reduces risks. With its cutting edge technology, Projectmates creates one seamless platform for managing the complete life cycle of construction from planning, bidding, and building to maintaining the facilities. 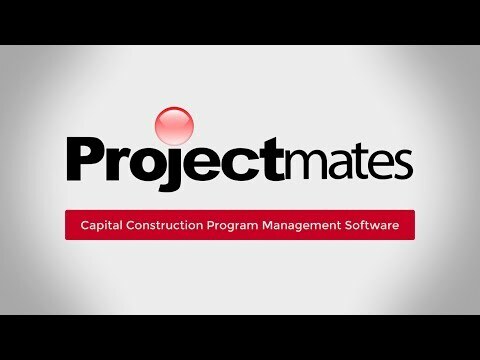 Over 100,000 projects from organizations such as Retailers, Real Estate developers, Educational and Government agencies rely on Projectmates to manage billions of dollars in capital construction programs. Projectmates has been trusted by construction owners for over 20 years and is SOC 2 TYPE II certified. Before Projectmates we had information and data scattered over various personal computers and servers. Projectmates consolidated all this into one location."